How did farming spread into Europe, from its origins in the Near East? And what remained of the original Neolithic, once it spread beyond its initial boundaries, to Western Anatolia, Greece and the Balkans? This book looks at the content of the Neolithic pattern of existence that spread into Europe 8,500 years ago, and specifically at practices, defined by reference to the theories of social action as normative acts or ways of doing. 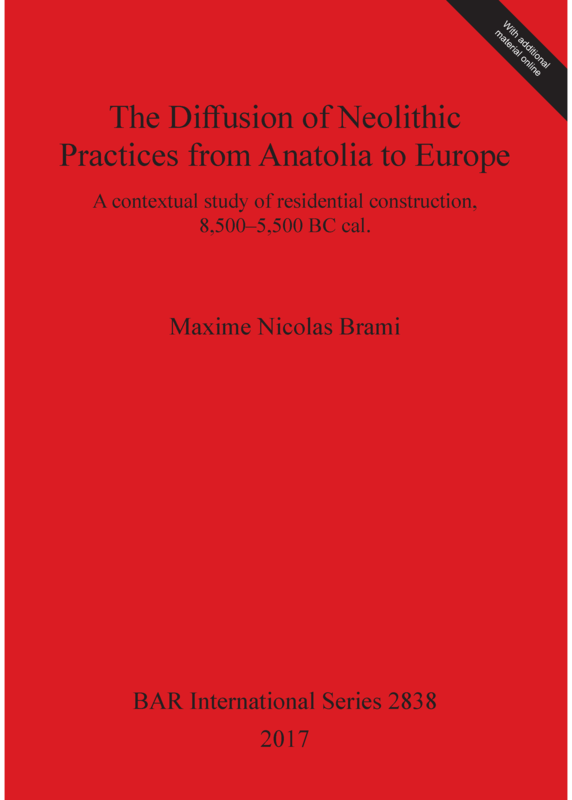 Beyond farming practices - this book argues - the Neolithic witnessed the inception of a new set of residential and construction practices, pertaining to the way in which houses were built, lived in and discarded at the end of their use-lives. The argument is substantiated by a detailed review of Neolithic house forms and settlement structures during the interval 8,500-5,500 BC cal. in Anatolia and the Aegean Basin, combined with a re-examination of the absolute chronology for the arrival of the first farmers. Maxime Brami was educated in the UK at the Universities of Bristol, University College London and Liverpool. Since completing his PhD in 2014, he has held two postdoctoral fellowships at the Austrian Academy of Sciences in Vienna. He has worked on several Neolithic projects in Turkey, including Çatalhöyük, Barcın, Boncuklu, Çukuriçi and Ulucak.